Do you believe in magic? 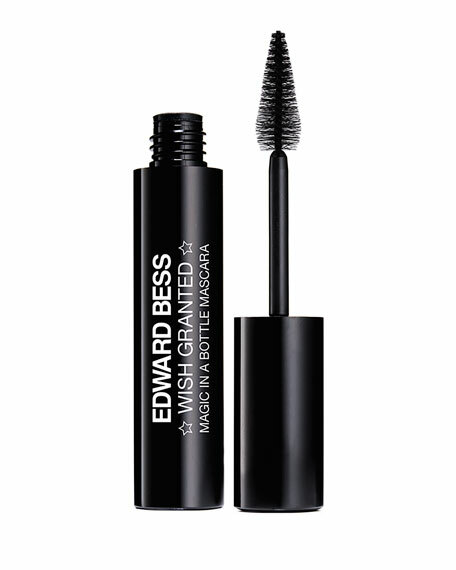 Your wish is this magic mascara's command! Length, Volume and Curl now finally together in one! A dream come true for your lashes, this 3-in-1 mascara delivers next generation drama for the look of lashes so amazing you'll have experience to believe. Ultra concentrated jet-black pigment coats every lash from base to tip for maximum thickness and length while the flexible formula lifts and sets lashes into place for gorgeous, lasting curl. Each individual fiber of the ergonomic brush head is specially shaped to a tapered tip, allowing the formula to hit every lash and ensure an even coating versus traditional mascara brushes. The densely packed bristles are positioned to hit lashes at every angle to amplify delivery of the formula with each stroke. From the instant this magic wand touches your lashes, you wont believe your eyes!